We currently have Nambe in stock! Order now to be sure to get some! 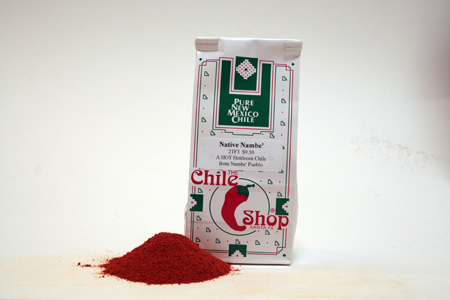 An Heirloom Red Chile grown in Northern New Mexico. An earthy, intense flavor. Hot!! Available in limited quantities. This product is classified as “non-ready-to-eat” (NRTE). Do not consume uncooked. Please cook to 165˚ before consuming. It needs to be cooked before consumptions. I love this chile powder. its my favorite of all the recipes you offer, and ive been making chile for nearly 50 years. I started using your chile powder in 1970 as a short order cook in Salina, Kansas.